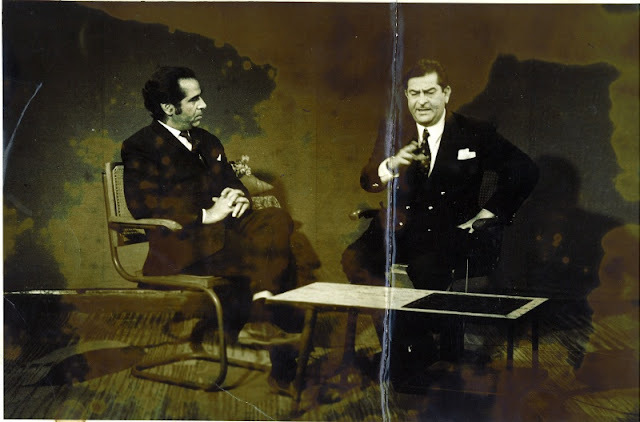 Gopal Kaul with Raj Kapoor. 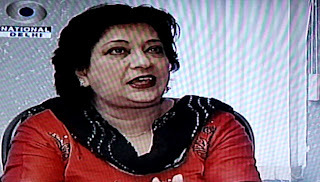 Sudha Chopra. Also appeared in a couple of films. Vinod Dua. Another famous face. Later moved to NDTV. Glamorous Komal G. B. Singh. Last famous appearance - at the start of year 2010 in a televison ad for e-bay with Narrotam Puri. 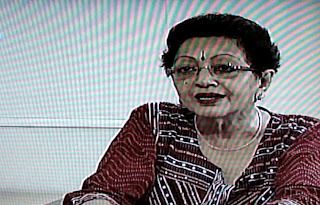 Dolly Thakore interviewing Hema Malini in a phone-in program. 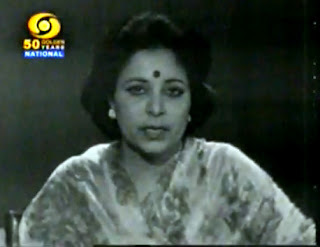 Trivia: Indira Gandhi's defeat in 1977 election and Janta Party's win was announced on Doordarshan by newsreader Dolly Thakore. It is said that she, characteristically of a Doordarshan reader, was smiling. Jayanthi Natarajan interviewing General Cariappa. 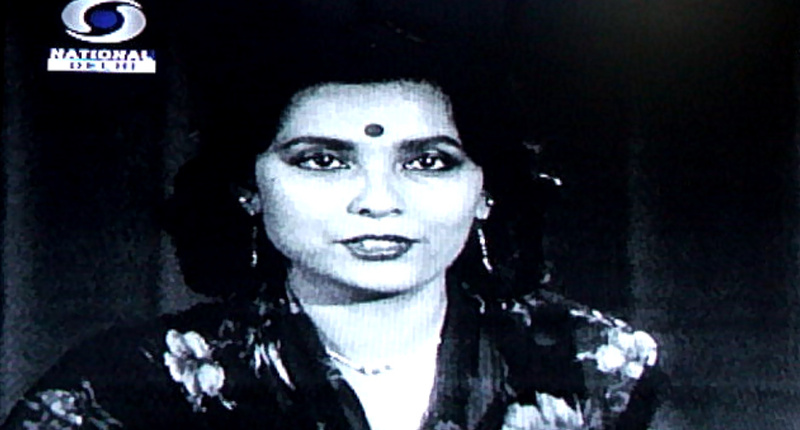 She started her career at Doordarshan Madras. She went on to join politics. Sashi Kumar interviewing Kamal Hassan. 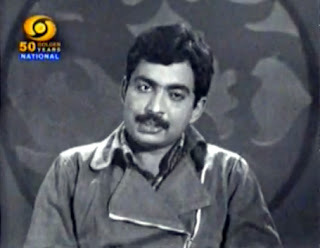 Sashi Kumar. Started at madras station of Doordarshan and later among other things went on to launch Asiannet, India's first regional satellite channel. 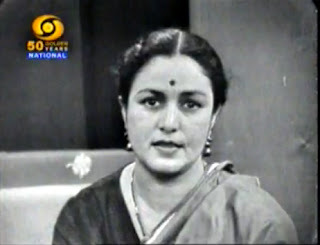 Bhakti Barve, theater artist and film actor, started her career at Bombay station of Doordarshan. Smita Patil started at Bombay station of Doordarshan as a reader. Luku Sanyal, daughter of actor Pahari Sanyal, the first face of English news in Mumbai, with 'The News'. 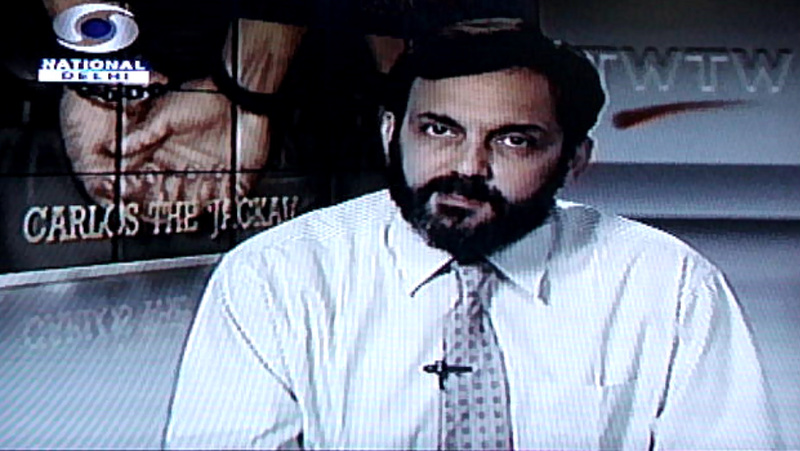 Prannoy Roy hosting 'The week that was'The World This Week. As I have written a bit about Kashmir station while writing about Doordarshan, it was an added delight to see Doordarshan Kashmir make a special appearance in the Documentary. 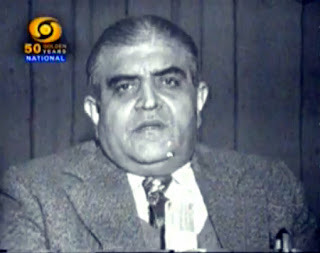 Syed Shabir Ahmed. Urdu voice at the Srinagar Station. Later also worked at Calcutta station. 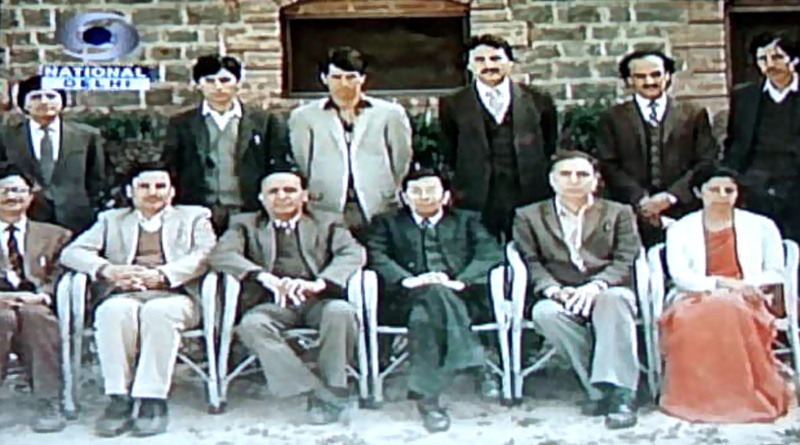 Naseem Khan joined Doordarshan Srinagar in 1973.
vinod dua , manoj raghuvanshi , narottam puri were there for a long time and the former two still are..but yar who is the lady above raghuvanshi's pic ? i can't recall her name. 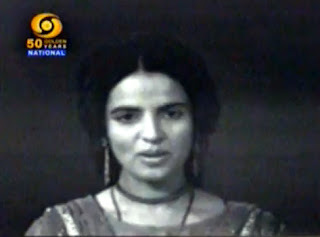 I am a student in JNU researching on Black and White television. You seem to have a great grasp of Doordarshan of 80s and perhaps also 70s? Thanks, Sandeep! It's great that you actually remember. Updated the post with your info. I am depending on others to come up with the names. How did U get these images? I mean, U recorded DD's programme? 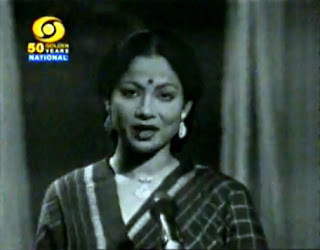 When r they airing old stuff (as a part of Golden Jubilee Celebration)? 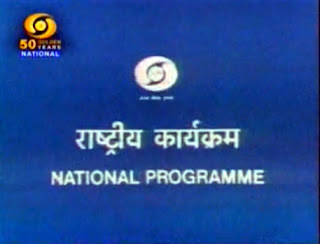 on 15 September Doordarshan had shown a special documentary titled "The Golden Trail , DD@50 :Special feature on Golden Jubilee of Doordarshan” as part of the celebration. I had managed to catch it. Tried to capture by muddled it, then found it uploaded on Youtube by some. Took the caps from that video. 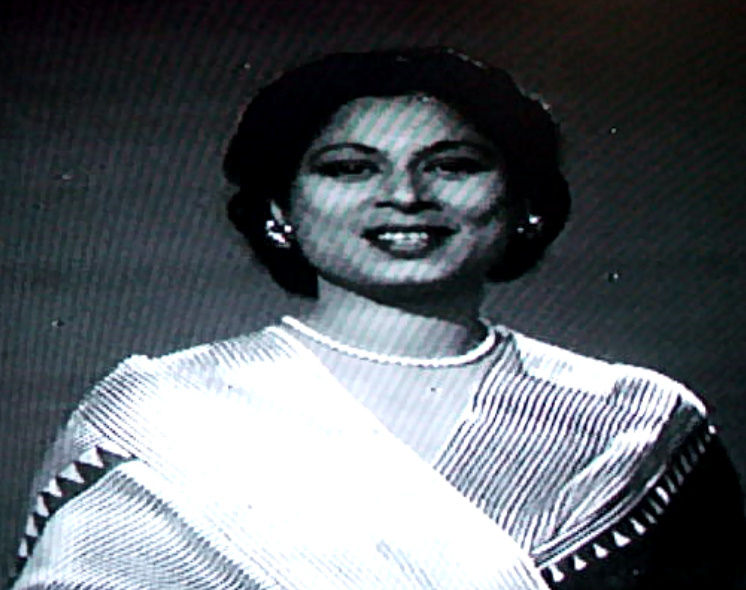 You can watch "The Golden Trail , DD@50 :Special feature on Golden Jubilee of Doordarshan” HERE at my previous blog post. Enjoy! Also, prior to this documentary, for about a week their Delhi station was airing some vintage stuff in its evening transmission. 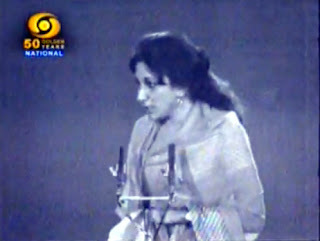 I managed to watch an RD Burman stage performance in which Jalal Agha went crazy while performing 'Mehbooba Mehbooba'. It was awesome! I am sure some of this stuff will soon be available on DVD. Are you referring to the same program where RDB shows a small magic trick of a disappearing microphone? 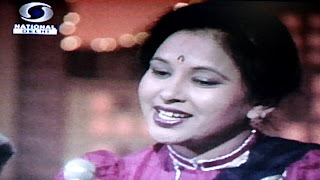 Pic # 8 is Meenu Talwar. #13 is Arshiya Bawa. #15 is K.K. Raina. thank you! I could have never figured that out. And I had no idea K.K. Raina also read News...couldn't recognize him at all. #9 is Sudha Chopra. 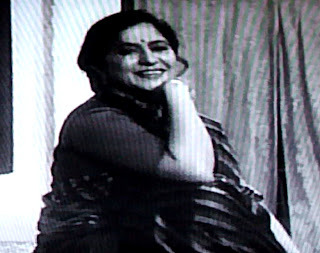 She played Jaya Bhaduri's mother in the 1981 Yash Chopra film "Silsila". #10 is Jyotsana. (She didn't give out her last name). You are great! I thought I would never get to know their names. Even I am not sure about #16. #4 Kamleshwar. Would have remembered him a couple of weeks later :) The cap here is from one of his early talk shows. And was making a wild guess about Rini Khanna. But i am sure I have seen that face. In one advertisement for Solidaire TV, the headline boasts:"If the eye-lashes of the news-reader are clearly visible...it must be Solidaire" (India Today, December 31, 1985). A big thanks to Anonymous! jyotsna's surname (as i know) was roy. 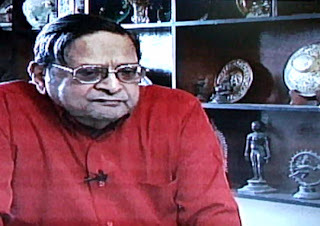 mukta's was srivastava. btw mukta passed some 9 yrs back by cancer. thanks! Let's see if others agree. I stumbled across this by sheer (delightful) error. Nostalgia, super stuff. 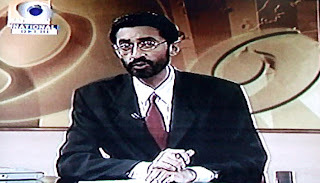 Anyone remember that bearded handsome newsreader - Tejinder Singh, I think his name was. Baritone voice. 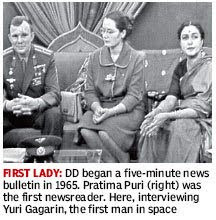 And, those from Madras Doordarshan would remember Shashi Menon and Usha Albequerque too. Tejinder Singh is of course a famous name. And Usha Albuquerque. 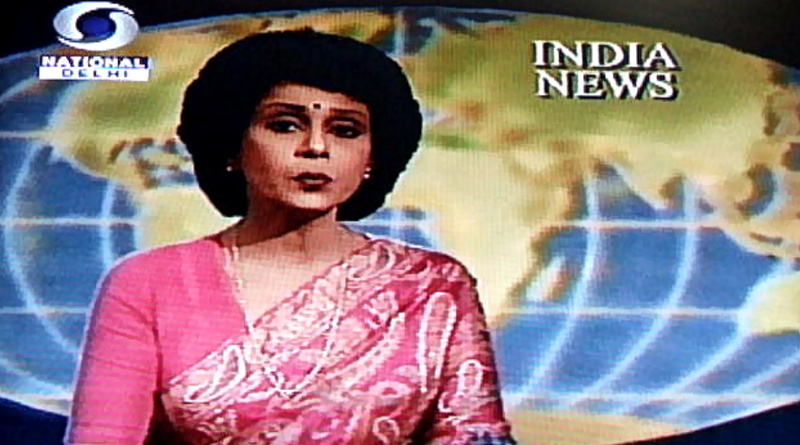 The faces I remember in 1980s are Deepak Vohra and the puppet 'Ji Saheb' in morning transmission; Tabassum in Afternoon transmission; Usha Albuquerque of News. Yes, I also remember Mukul Shrivastava and Pawan Duggal along with Deepak Vohra in the morning shows. 'Ji Saheb' appeared with Deepak and later a female puppet (Bharti, I guess??) came with Mukul. 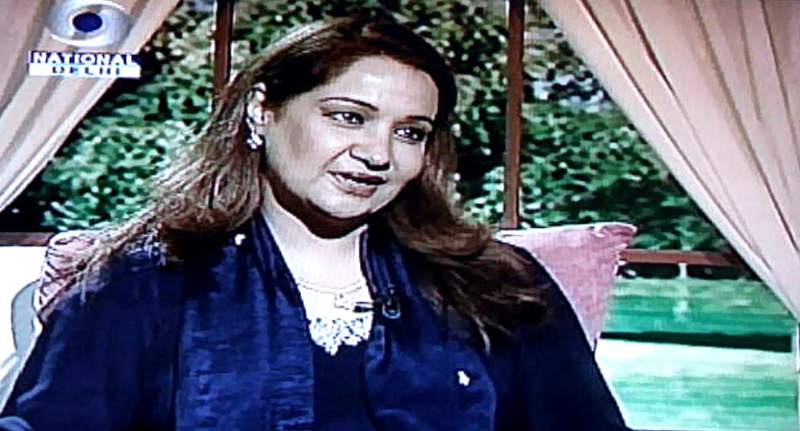 I remember Tabassum's afternoon show. Can anyone provide me with the pic of Shobhana jagdish plz? The lady below Manoj Raghuvanshi is Avinash Kaur Sareen. Saar.. Where is Rini Simon? Was someone whom we all 40 something today used to connect with during our college days. Ah yes, but didn't Salma Sultan wear a rose behind her ear? I was too little; I don't remember. I would recommend reading Anil Dharker's 'Sorry Not Ready (Television in the time of PM Darshan)' to anyone who wants to relive the DD days. i actually needed a lot of help for this one. In fact, some of the face at the top (interestingly Male) still remain unidentified. the images here are just caps from Golden Anniversary DD special. Maybe it's time i add images of other presenters too. It's interesting that you mentioned Rini Khanna Simon. In the images above i misidentified Mukta as Rini Khanna. 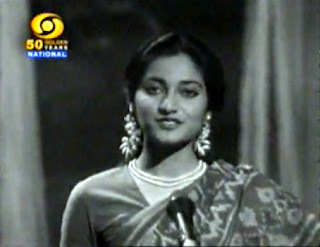 Rini Khanna joined Doordarshan back in 1985. Here's a link about her. I didn't know she's the voice for Delhi Metro . How about that! Even I was a kid back then. I read Salma Sultan started wearing the rose quite late, only in the 80s. Thanks for recommending the book! Will try to get my hands on it. Theres Melville de Mello there! 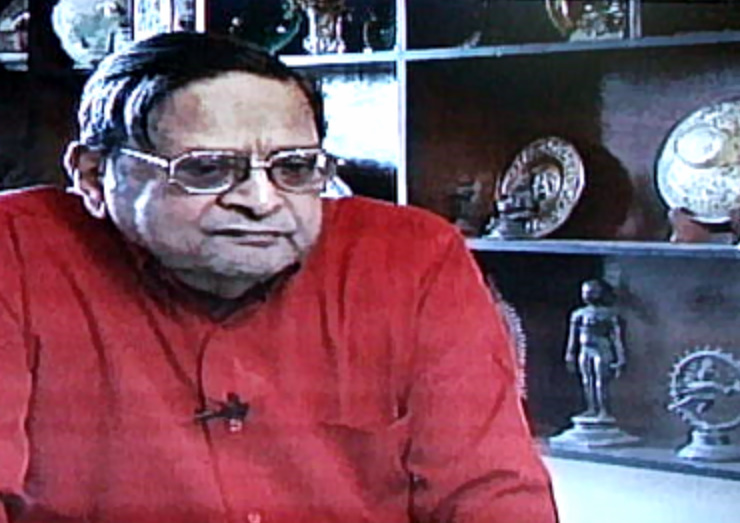 Whether it was the Republic Day parade or any other commentary, he used to lend his Angrez voice. :) Recently I saw a feature on Jim Corbett on DD Bharati made in the 1970s( my lil one was thrilled to see a prog abt his hero!) which had the entire narration by de Mello. It was sheer nostalgia fr me to hear that voice from my childhood. too bad i missed the show. Would have loved to hear Melville de Mello's voice. I hope they have a 'repeat telecast'. Isn't DD Bharati great! 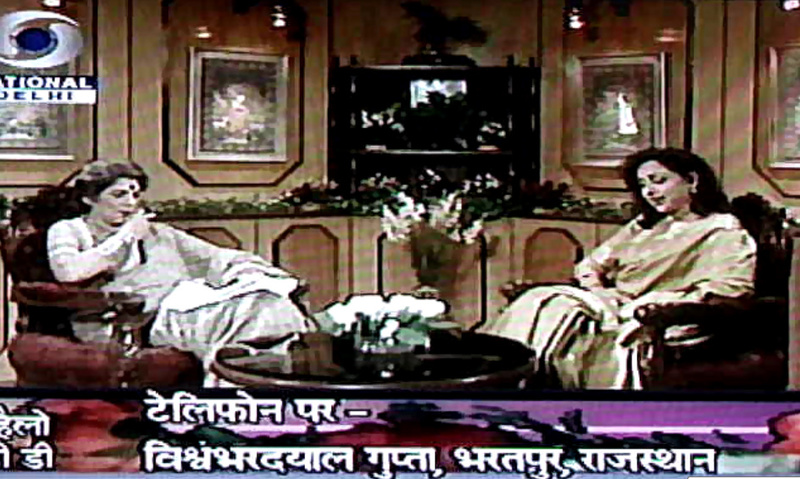 They have been dedicatedly sharing stuff from the Doordarshan archives. Here' an interesting link about Melville De Mello. Following ur blog for quite some time now & i really appreciate ur work. my mistake. Thanks for pointing out! thanks for adding those names to the list. 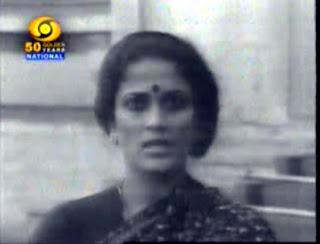 The photo immediately below N.Vishwanathan is of Sarla Maheshwari. The one below that is of an English newsreader(forgot the name!). 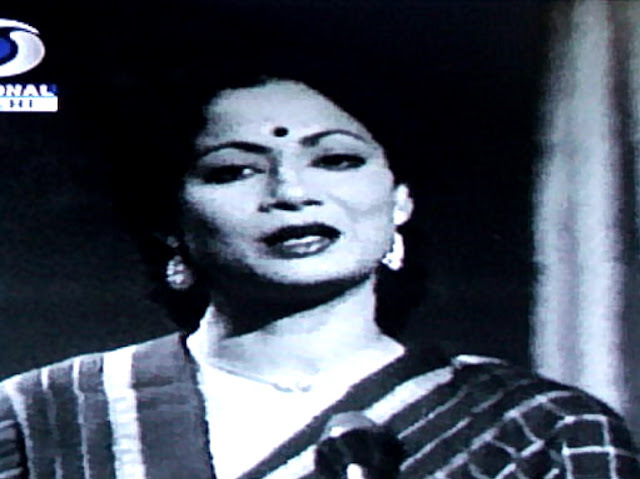 Then is Shobhana Jagdish and the one after that one is of Ved Prakash. thanks for the input! Have updated the post with these names. Shobhana Jagdish and Ved Prakash were perhaps the most popular face of News in the late 80s and the early 90s. 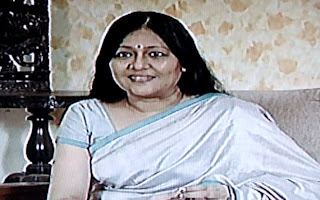 the one below narottam puri (used to cover sports) is mukta shrivastav.below her is gitanjali ayyar, then kaveri mukherjee. 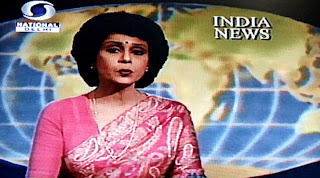 and one between shobhana jagdish and avinash kaur sarin is rama pandey .....not to be confused with later rama pandey who used to cover weather report. this is incredible! Thanks for the info., have updated the post with these names. I may be wrong... but isn't the lady above Shobana Jagdish... the one with the mole and shor hair, Neeti Ravindran? Hi ma name is MINU.When i was born ,doordarshan was d oly channel der in ma home.My family s fond of d news reader MINU.....Dats y i got d name MINU........!!! Thanks a lot for the blog. We are missing CHAMAN GUPTA and the omnipresent "RUKAWAT KE LIYE KHED HAI" torn chappal. 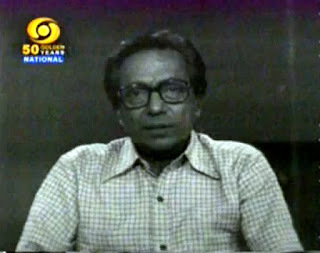 RAMU DAMODARAN was one of the best newscasters. In the pre-digiprompter days, he used to read without looking at his paper longer than any of us could ever imagine. YURI KHURANA was another charming face. Any news on her? also , i think the voices in Delhi Metro (about a year ago ) are Komal G B Singh and Shammi Narang. thanks for adding all those names! Have name tagged Neethi Ravindran's pic. I think it is Manjari Joshi below Manoj Raghuvanshi's picture. In Delhi Metro, the announcers are Shammi Narang and Rini Khanna (previously known as Rini Simon) of Doordarshan. 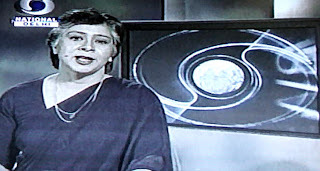 thr is also another reader who used t be present whenevr thr was a doordarshan report used to be shown in any movie .... i was jus watching Jaane Bhi do yaaron and was wondering what her name was .. any clues ??? Bhakti Barve. She is featured in this post. What A pleasant surprise to see my most un-forgettable colleagues. Thank u for creating such a memorable nostalgia. A pleasure to hear that from you. Thanks for appreciation! Thanks a lot Vinayak..This is a amazing read.I am half the age of durdarshan and I have grown up with it.This makes me miss that charm more n more. 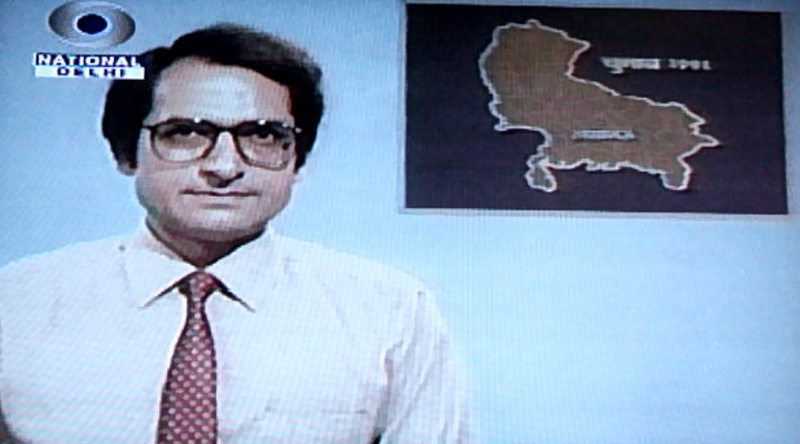 I recall N Vishwanathan reading the English News on Calcutta Doordarshan in his impecccable accent in the late 70's . Later when I went to St. Xaviers College , Calcutta , in the earliy 90's he was my English Professor too !! I do not see Sadhana Shrivasta's name anywhere on thi blog . She used to be my fav annoucer on DD Delhi !!! Hi This is a refreshing walk down memory lane. Are you sure about Rama Pandey's picture. 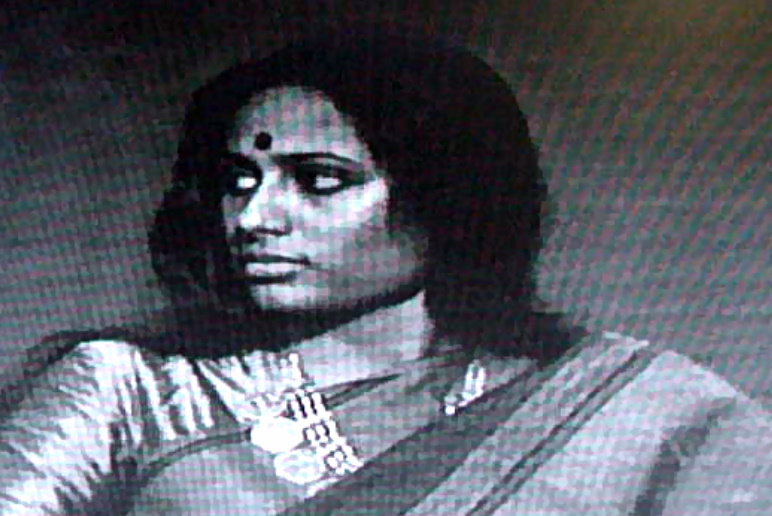 Also it'll be great to have Sukanya Balakrishnan's picture. She read English news. As one of the commenter mentioned Rama Pandey here is. "not to be confused with later rama pandey who used to cover weather report." I think the lady after Manoj Raghuvanshi is Veena mishra. Was it Badrinarayan in halla gulla pathshala?? Wowww.. this was really amazing... what a journey down the memory lane! It was so nice to see all wonderful n pioneer faces in the world of media again during our childhood, after ages specially when they were all so young n in their hey-days! Thanks to all who have compiled this page though I could not find the person I was looking for here. 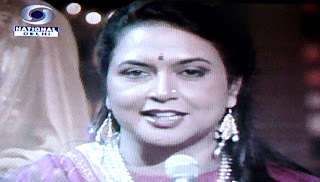 Yes, DJ the lady after Manoj Raghuvanshi is indeed Veena Mishra. If anybody knows the name of the lady who's appearing these days in the serial 'Bade Achhe Lagte Hain' on Sony TV as a language teacher working with 'Priya' pls post ur information here and enlighten us. She was one of the presenters on DD if I'm not mistaken. And I agree with what Sandeep Kowaldkar wrote abt Shammi Narang... n smiled at it! Don't forget the rose flower always tucked on the side in Salma Sultana's juda! Yes her first name is Madhu, do not remember her title...she used to be te compere of children's programme and some other programmes too. Thanks for reviving the memories of good old times. I would like remind you of another lady sunita buddhiraja who used to compère the literary programme. 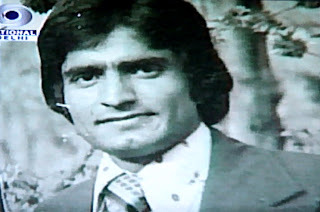 You have missed one very sophisticated English News reader's mention, who was a regular on Bombay's (Mumbai's) English News, in the 70's thru to the 80's. His name is Viren Luther, a very handsome and gentlemanly man, with a striking mustache. Luther later went on to become the Executive Director of Film Festivals, and Director of NFDC (National Film Development Corporation.). So you can see, that you clearly missed his name in your list of Bombay's English News readers. Please add his name, and I can provide the photo if you want. Wow! this is amazing! even after 2 decades, I could relive those days by reading this, Thanks Vinayak. Narottam Puri is (was) also a Delhi based doctor. I had my nose surgery done by him. pls include the statesque Komal G.B.Singh in this list of pioneers. Superb work! I salute you for remembering the Doordarshan era so well! Will share your link with friends. very nice...thanks for these names as we almost forget them in our busy life but we always love that golden era of our life.. I was trying to remember Suneet Tandon's name. That's what brought me here. When I was a child in the early 90's - Tandon would always be on with his beautiful Oxbridge baritone. 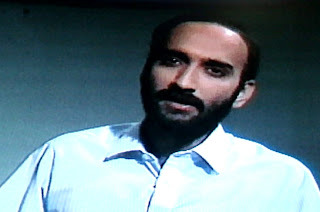 I was struck by his deep voice, his beard and the fact that he was so skinny. He always added gravitas to proceedings. I wonder what he is up to now. Tandon is lost in the shouty sea of Rajdeeps, Arnabs, Sagarikas and Bharkas. 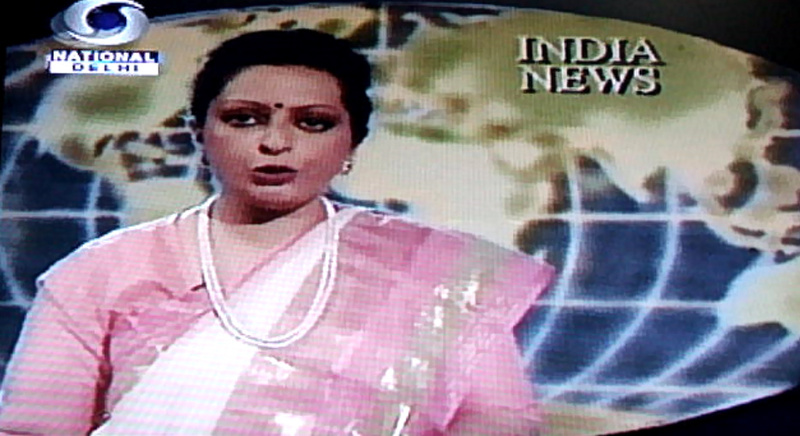 Liberalisation has not been kind to the icons of the Doordarshan era. My Favorite always was Sunit Tandon and Sangeetha Bedi, and those days DD New readers has only set the standard for present days modern news readers. Hats offs, thery left an unforgettable nostalgic memory to all botn in 70's and early 80's. There used to be school-girlish reader called Mrinalini who was quite un bearable to watch. Also a news reader/anchor called Sadhana Srivastava.... who was quite pretty with those flashing eyes...maybe contact lenses?? Can you please tell me about these ?? Thanks blogger!!! I landed here when I was trying to find out the name of Rajeshwar Singh, I remembered his look voice and was really a fan of him, Salma Sultan, Sarla maheshwari, Suneet Tandon, Rinni Khanna (I remember her but i dont see her pic here,) Thanks!!!! Pankaj Mohan was a regular DD newsreader. He also acted with Yatrik. Where are all these folks now? Read a comment that Jyotsna did not reveal her surname which is incorrect. Her surname was Mohapatra and she used to present 'Aap Aur Hum' with Kuber Dutt. Just realized Gitanjali Aiyar recently wrote a nostalgic piece for 17th anniversary collectors issue of OUTLOOK. [here]. And the pic used in the article is the one originally posted here against her name. Another one of my two bit contribution to archiving Indian popular culture. How come sadhna singh is missing? 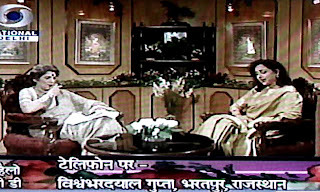 The only time I have seen Doordarshan handle a Western classical music concert with finesse and knowledge of music was when Sita Nanda produced a symphony concert conducted in Mumbai by Zubin Mehta. Zubin Mehta thanked and congratulated Sita Nanda afterwards and more so because she had stayed on like a true professional even after she got the tragic news just before the concert that her mother had suddenly died. That is what I call true professionalism and it came from Doordarshan’s own staff. 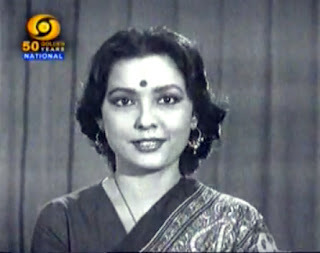 Neethi Ravindaran (English newscaster of 1970s)... was my class teacher's older sister in New Delhi!! 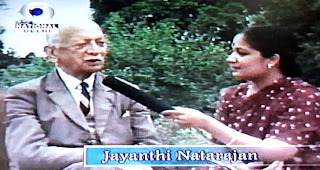 Her father General Raj Ratnam ran a school with same name and I was a student there. I remember speaking to her in English...I was 11 years old then. Nice to see this blog. Thanks Mr. Razdan. I had sketched few news resders during 1991, while reading the famous 8.40 pm news. Pls suggest how can I post those sketches. They were instant ones using sketch pen. 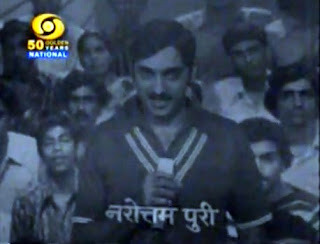 those old days were glorious days of Doordarshan Era.. 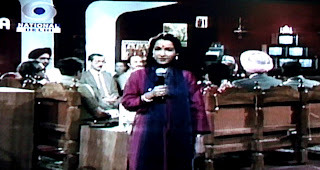 I wish if those days can be brought back and doordarshan can be regain its popularity, hhhhmmmmmm!! at least I suggest that if doordarshan will start showin all its older serials/ programmes one by one daily, am sure it could regain its lost popularity and will be a good way for everyone to remember/recall the old memories n specially to all those people who have actually have been brought up in that ERA..
i remember a few. esp neethi rajendran and sunit tandaon. there was one malovika roy. even illiterate old men watched her reading news in stylish english. frns pls share news about her if any.. elango- madurai, tamilnadu. yes! I was die hard fan of Malovika Roy those days.. I was not knowing english, but was not missing her news. I love you Malvika mam. Superb. Where did you get all this from? Ramu Damodaran deserves another mention. One of the best readers of the english language.... ever. And I don't just mean doordarshan. He could have hosted the news on any channel, even BBC or CNN. 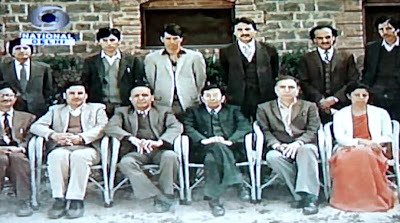 After news reading, he became a member of the Indian Foreign Service where he held the post of Executive Assistant to the Prime Minister of India, served Indian diplomatic missions in Moscow and to the United Nations, and held assignments in a range of other governmental ministries. He is now the Deputy Director for Partnerships and Public Engagement, Outreach Division, Department of Public Information in the UN (United Nations). This is a real achievement and deserves to be highlighted. I'm so glad you put this up. Every night, I go to my folks place for dinner and dad invariably tunes in to those 24*7 news channels. All I can hear is cacophony. A riot fest on prime time. Maniacal news anchors, uncouth mud slinging guests, baroque and absolutely crass music cues. It made me miss the simple no frills approach that DD had adopted. I'm using "had" because that channel was long forgotten. On a hunch, I tuned in to DD News and there they were again. 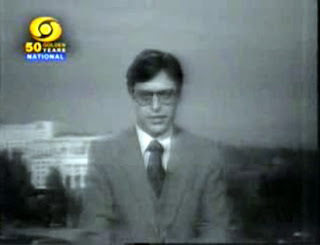 The anchor had changed of course but the reporting was similar and more importantly, it was genuine reporting. Dignified and peaceful. The viewer could actually watch the news. top to bottom...salute...them & You..blood shivering history of news, charm & personalities. I hope I can get enough one day to arrange a grand get together for as many people as I can gather, to be telecast live ! Thanks a lot for this blog ... the more i read it , the more grateful I feel. I stumbled upon this blog while searching for Target. And here I am , reliving my childhood memories. Thanks again ! I cant tell you how happy it makes me. I always missed these newreaders for their quality. They were so good Minu , Kaveri Mukharjee , Usha .I used to listen to the English news and the hindi news just for these news readers. They had a class. Target, the magazine for teens? If yes, did you find it anywhere? hi..there ws one more guy vijay bhaskar reddy,,cn anybdy tell whr is he nw? Sir, Can you please add the image of gorgeous smiley "Jasleen K Vohra" ? 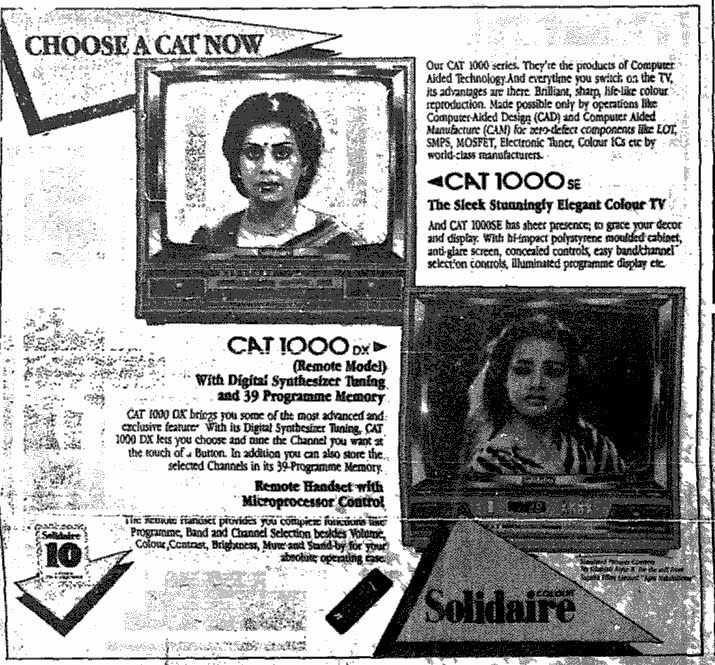 Those were the Golden days of Our life when Doordarshan was the only channel we used to watch. This was a walk down memory lane& I'm having a deja vu feeling. .. 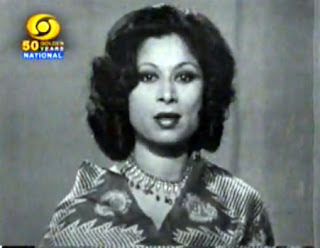 I remember one so poised news reader Mumtaj.. Can you post her pic too? Any contact of prabhujot kaur? I am so glad I landed here. 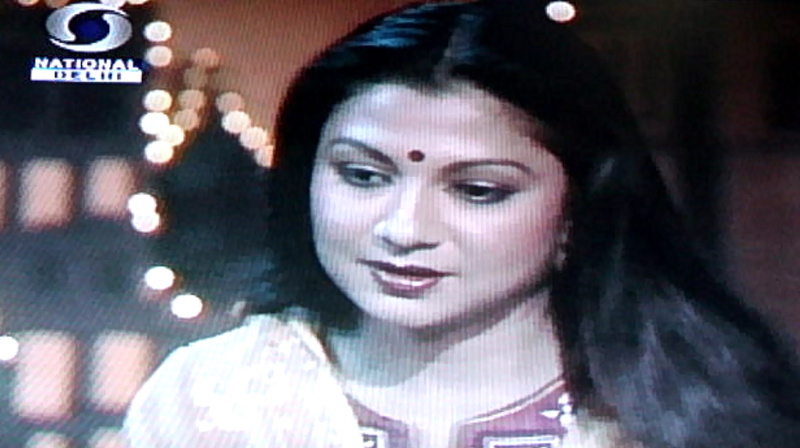 I wish to see more of Jyotsna Roy and Minu Talwar... also what about another beauty Manjari? उनकी मेमरी इतनी असाधारण थी की, मानो उन्हें सभी खबरे मुखोद्गत रहती थी ! वो कभीकभार ही ,निचे रखे गए पेपर में न्यूज़ देखा किया करते थे ! एक अंग्रेजी न्यूज़ एक अलग सी दाक्षिणात्य असेंट में सुनने का वो दौर असाधारण ही था ! 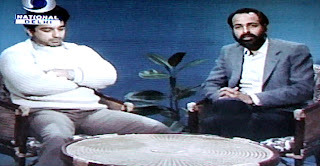 Any idea who were the presenters of World of Sports that appeared on DD on Sunday afternoons? Stumbled on this blog just now, while surfing for info on my favourite newsreaders.. I believe Ramu Damodaran was considered a child prodigy who later graduated to News and abruptly left DD. Where is he now, if you know? 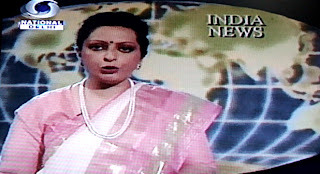 Also, where do I get some recordings/videoclips of the best among newsreaders from All India Radio - Melville de Mello, VM Chakrapani, Roshan Menon, Shurajit Sen, Lutika Ratnam, Sushil Jhaveri Pamela Singh, JV Raman and many more. pl dont say try AIR - they are of no help!! 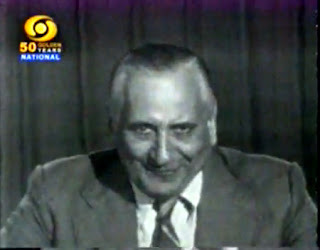 I found a few blogs which take you back almost 50 years to the vintage times of All India Radiio and DD India!! What joy!! 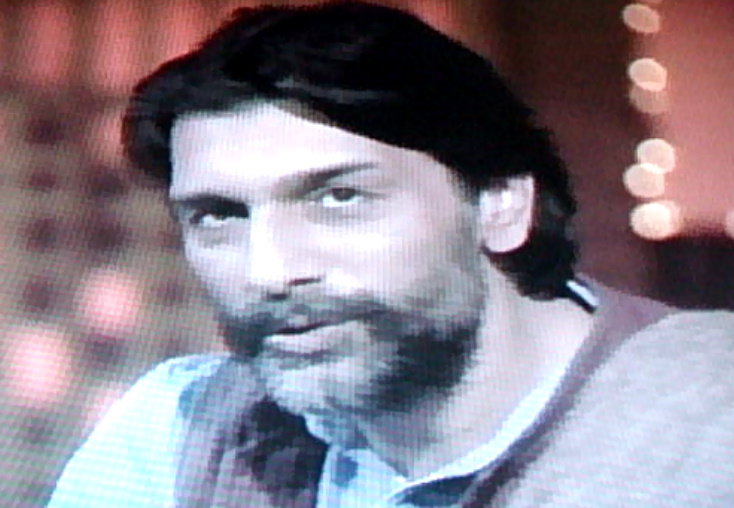 Missing Siddhartha Basu in 'Quiz Time' in mid 80s. A great galaxy. Coming to Mr Tandon, it's "Suneel", not "Suneet", I think. 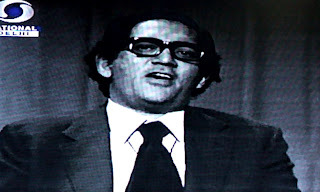 Narottam puri , I still remember because he he was the first to announce India's world cup victory on doordarshan and his announcement started with th the words India have done it . nostalgia comes up and up . A whole of the old generation still lives with those old memories with Door Darshan . 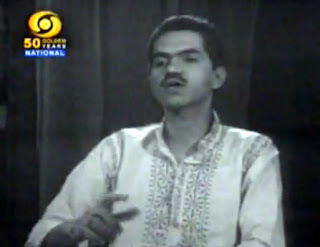 There was a programme on Ghazal sponsored by Polydor and was presented by Vinod. Any detail? But nowhere mention of Anjali Rai,Presenter. They were far far better then today's news readers ,who are not good at news reading as well as bad over actors too. Nice collection. Please note that it is not KK Raina. That is Harish Awasthi. I have enjoyed reading about all the news readers of DD. But I am trying to remember the surname of a male newsreader whose first name was Mark . Does anyone remember him?? Life is rewinding back 40 years and makes one feel young as then. yup..definitely older but none the wiser :) Thanks for all the comments. Thank you very much for this very interesting and nostalgic blog.